On 1 March 2019 ITAC (the International Trade Administration of South Africa) initiated a safeguard investigation on imports of threaded fasteners of iron on steel: bolt ends and screw studs, screw studding and other hexagon nuts (excluding those of stainless steel and those identifiable for aircraft). We are delighted to announce that Rian Geldenhuys has again been named by Who’s Who Legal as being one of the world’s leading Trade and Customer Lawyers. On 20 April 2018, the International Trade Administration Commission of South Africa initated an investigation into the imposition of possible safeguard action against the increased imports of other screws fully threaded with hexagon heads made of steel. We are delighted to annouce that Rian Geldehuys has again been named by Who's Who Legal as being among the world's leading Trade & Customs lawyers. Rian has been selected by his clients and peers and the recognition has just been published in Who's Who Legal: Trade and Customs 2017. What opportunities and challenges would a trade deal with South Africa present the UK? Rian Geldenhuys, director at Trade Law Chambers, explains why it is important for the UK to be clear and transparent on its interests before entering into a trade deal with South Africa. Please read the full interview on the Lexisnexis UK Website here (registration is required). We are delighted to annouce that Rian Geldehuys has been named by Who's Who Legal as being among the world's leading Trade & Customs lawyers. Rian has been selected by his clients and peers and the recognition will be published in Who's Who Legal: Trade and Customs 2016 in November 2016. The International Trade Administration Commission of South Africa (ITAC) recently published a notice in terms of which several SACU industries are called upon to show good cause why the current anti-dumping duties in force should not expire in 2017. Trade Law Chambers in collaboration with Rand Merchant Bank will be hosting a discussion on the trade implications of Brexit and what the vote holds for South African business as well as the African market midst this uncertainty. After years of negotiations certain SADC (Southern African Development Community) Member States have finally signed the Economic Partnership Agreement (EPA) with the European Union (EU). The SADC configuration for the EPA consist of Botswana, Lesotho, Namibia, South Africa, Swaziland and Mozambique. The EPA agreement finally addresses the concerns of the old Cotonou Agreement and will replace South Africa’s Trade Development and Cooperation Agreement (TDCA) with the EU. Under the SADC EPA Botswana, Lesotho, Mozambique, Namibia and Swaziland will have 100% duty free access to the EU market. South Africa’s access to the EU market is different as only 98.7% of the customs duties have been partly or wholly removed. The EU does not have the same level of access to the SADC EPA Member States’ markets. Botswana, Lesotho, Namibia and Swaziland removed approximately 86% of their duties whilst Mozambique removed 74% of its duties for EU imports. Although the negotiations began in 2004 and the agreement has now been signed, each SADC EPA Member State and the European Parliament must now ratify the agreement before it comes into force. For more information on the SADC EU Economic Partnership Agreement, kindly do not hesitate to contact us. ITAC received an application to increase the tariffs on stainless steel flat products from being duty free to 10% ad valorem. The application covers the entire spectrum of flat-rolled products of stainless steel. On 24 March 2016 ITAC initiated a safeguard investigation on certain flat-rolled iron and steel products. Safeguards may be taken if an industry can show that there were unforeseen devleopments that led to a surge in imports that caused serious injury to a domestic industry. The safguard measure that may be imposed either takes the form of an annual quota or the equivalent in tariffs. The International Trade Administration Commission of South Africa initiated a sunset review of the anti-dumping duties on unframed glass mirrors originating in or imported from India. 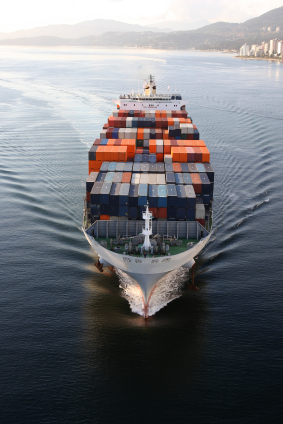 The sunset review is needed as the original anti-dumping duties were set to expire on 3 March 2016. The applicant, PFG Building Glass, demonstrated a prima facie dumping margin of 188.18%. The initiation notice was published on 19 February 2016 and interested parties must submit their information by no later than 30 days from 19 February. For further information kindly do contact Rian Geldenhuys. The South African Poultry Association brought an application to impose safeguard measures against frozen bone-in chicken portions imported from the European Union. The application is brought in terms of Article 16 of the Trade Development and Cooperation Agreement ("TDCA") between the European Union and South Africa. The International Trade Administration Commission of South Africa ("ITAC") has initiated an inverstigation into whether safeguard measures are warranted. As such, should the investigation into the imposition of safeguard measures find that safeguard measures are warranted, any safeguard measure imposed would only be against the European Union and not against any other World Trade Organisation ("WTO") member state. The initiation notice was published on 19 February 2016 and interested parties must submit their information by no later than 20 days from 19 February. To read the draft guidelines for the application for a rebate permit for anti-dumping duties on bone-in chicken from the USA, please click here. Kindly note that comments are due by 13 November 2015. On 19 June 2015 the International Trade Administration Commission of South Africa (ITAC) published a notice in terms of which several SACU industries are called upon to show good cause why the current anti-dumping duties in force should not expire in 2016. SACU manufacturers have until 27 July 2015 to submit a request to ITAC to have the anti-dumping duty reviewed before its expiry. On 10 June 2015, the Heads of State and Government of the Common Market for Eastern and Southern Africa (COMESA), East African Community (EAC) and the Southern African Development Community (SADC) launched the COMESA-EAC-SADC Tripartite Free Trade Area. The aim is to have a single market of 26 countries with a combined population of 632 million people which should bolster trade amongst the member countries and increase investment flows into the single market. Trade Law Chambers has been announced as the Best International Trade Law Firm in South Africa. Trade Law Chambers is a proud winner of one of the 2015 M&A Awards awarded by Acquisition International. On 20 February 2015 the International Trade Administration Commission of South Africa (ITAC) initiated a sunset review investigation on anti-dumping duties on float and drawn glass imported from China and India. , South Africa currently levies anti-dumping duties float and drawn glass ranging from R5.62/m2 to R13.87/m2 depending on the thickness of the glass and its origin. Parties interested in maintaining the anti-dumping duties or having them removed must submit responses to the ITAC no later than 40 days from 20 February 2015, failing which any such comments will not be taken into account. For any assistance, kindly contact Rian Geldenhuys. On 20 March 2015 the International Trade Administration Commission of South Africa (ITAC) initiated a sunset review investigation on anti-dumping duties on garlic imported from China. South Africa currently levies anti-dumping duties fresh and chilled garlic of R10.37/kg. Parties interested in maintaining the anti-dumping duties or having them removed must submit responses to the ITAC no later than 30 days from 20 March 2015, failing which any such comments will not be taken into account. A copy of the initiation notice may be downloaded by clicking here. SA to modify GATS commitments? Today Business Day reported that the Minister of Police reportedly stated on Thursday that South Africa will withdraw from its commitments to the World Trade Organization's (WTO) General Agreement on Trade in Services (GATS). The Minister of Police made this statement as the Private Security Industry Regulation Amendment Bill requires that 51% of all private security entities is to be owned and controlled by South African citizens. Should President Zuma sign the bill in its current format into law, apart from the potential violation of South Africa's Constitution, it will also be a violation of South Africa's international obligations under the GATS. This is due to the fact that South Africa committed under GATS that no trade restrictions will be implemented in the private security industry. As a consequence South Africa is bound by these commitments and cannot unilaterally impose a local ownership and control requirement. However it seems that South Africa will in fact consider its international obligations under GATS as the Minister of Police stated that South Africa will utilise article 21 of the GATS which allows South Africa to modify its international commitments. Interestingly it seems that South Africa does not want to rely on article 14, which allows for general exceptions to a member's commitments, or article 14 bis, which allows for the possibility to take any action which is necessary for the protection of South Africa's security interests. , Indeed article 21 of the GATS does provide for a procedure to be followed in order to modify a member of the WTO's commitments under the GATS. However, this procedure is by no means a mere procedural formality. , It requires, amongst others, a formal notification to the WTO's Council for Trade in Services where any affected WTO member may claim compensation for the loss to be suffered if South Africa modifies its GATS commitments. This involves negotiations between South Africa and any such WTO members that may have claimed compensation. If any agreement is reached, such compensation will not only be afforded to the member states that negotiated with South Africa, but South Africa will have to extend the compensation to all other WTO members. , It could potentially take a very long time to negotiate and has only ever been successfully done once by the US and twice by the EU which in each instance took many years to conclude. In reaching any agreement under article 21 of the GATS, the problem faced by South Africa is that its services sectors are already exceptionally open to free trade. As such, South Africa does not have a lot of leeway in opening up more sectors in trying to offer compensation. South Africa's private security industry is estimated to be worth around R50bn a year. However thus far no estimation can be given for the potential cost of the compensation to be granted to all WTO members under article 21 of the GATS. Furthermore, South Africa's trade relations do not operate in silos. Currently South Africa is lobbying the US government for its continued inclusion under the African Growth and Opportunity Act (AGOA). According to South Africa's Department of Trade and Industry, South Africa's exports under AGOA was worth $3.6bn in 2014. It has been reported that there are members of the US Congress opposed to including South Africa under AGOA if it proceeds with any modification of its GATS commitments. Thus not only will South Africa pay an as-yet-unknown-price in respect of its services sectors for all WTO member states, but it could very well lose out on roughly the value of the entire private security industry (whether 100% locally owned and controlled or not) in exports of goods under AGOA. It remains to be seen what South Africa will do and indeed what the relevant Ministers in charge of South Africa's international trade relations' reactions to the Minister of Police's statements may be. Indeed the Minister of Police's statements not only negatively affects foreign investors' perception of South Africa, but also brings about great uncertainty for South African companies. 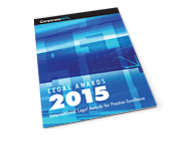 Trade Law Chambers has been awarded an award in CorporateINTL 2015 Legal Awards. Trade Law Chambers has been voted as the Boutique International Trade Law Firm of the Year in ,South Africa. Business Day reports that certain provisions of the draft Investment Promotion and Protection Bill have been strengthened during deliberations of the National Economic Development and Labour Council (Nedlac). To read Business Day's article please click here. We are delighted to announce that one of our lawyers has been nominated as one of the best of the best. Euromoney has been publishing expert guides for 20 years where the world's finest lawyers are chosen by their peers. After the successful completion of the nomination process for the International Trade and Shipping guide where a record number of people actively participated and endorsed the most talented and reputable lawyers, Rian Geldenhuys has been nominated by in-house counsel and lawyers to appear in the 9th edition as one of the leading practitioners in international trade. On Friday 10 October 2014 the South African Government published new codes of good practice. The new codes set out the proposed black economic empowerment requirements for small businesses (being businesses with an annual turnover between R10m to R15m). Interested parties have until 14 November 2014 to comment. Please do contact us if you require ,a copy of the new codes. In September of 2013 the International Trade Administration Commission of South Africa ("ITAC") introduced export control measures on the export of scrap metal. In terms hereof scrap metal could not be exported if the scrap metal was not previously offered to the local market at 20% below the international benchmark price. On 19 September 2014 ITAC published a notice in terms whereof it seeks comments on the current preference pricing system with a view to review the actual preference pricing system currently in place. The proposal is that the discount should either stay the same or be increased to as much as 30% of the international benchmark price, depending on the type of scrap metal. Interested parties have four weeks from 19 September 2014 to submit comments to ITAC. A copy of the notice may be downloaded here. For any assistance, kindly contact Rian Geldenhuys. On 19 September 2014 the International Trade Administration of South Africa (ITAC) initiated a sunset review investigation on the anti-dumping duties applicable to stainless steel kitchen sinks imported from the Malaysia and the People's Republic of China. The initiation notice may be downloaded here. Interested parties have 40 days as from 19 September 2014 to reply in full to the investigation unless they have received notification from ITAC directly, in which case they will have 30 days from the date of that notification. For any assistance, kindly contact Rian Geldenhuys. After 10 years of negotiating the Economic Partnership Agreement (EPA) with the European Union (EU), the South African Development Community (SADC) has finally initialled the EPA. , South Africa, Botswana, Lesotho, Swaziland, Namibia, Angola and Mozambique form part of the SADC grouping that initialled the EPA with the EU. Once the EPA comes into force, it will provide South Africa with improved access to the EU market. As such it holds benefits to exporters over and above those benefits currently contained in the Trade Development and Co-operation Agreement (TDCA) between South Africa and the EU. 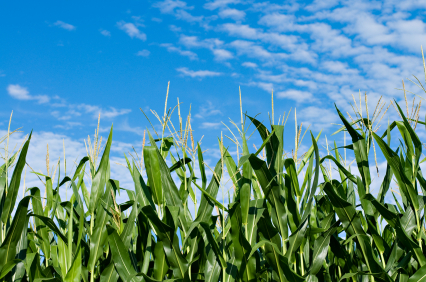 Agricultural products have particularly gained greater access to the EU market as well as safeguard protection from surges in imports from the EU. It is expected that the various countries would now ratify the EPA in order for the EPA to become effective. For more information on the full extent of the impact of the EPA, please do contact us. Trade Law Chambers has been included in the Expert Guide ? Opportunities and Developments Africa Focus 2014. The Expert Guide consists of articles authored by numerous legal experts from around the world. , Rian Geldenhuys contributed an article on the legal considerations for investing in South Africa. The article may be viewed by clicking here. To download the entire Expert Guide, please click here. Worldwide Financial Advisors Magazine appreciates that the world's leading professionals are called upon to assist with transactional matters throughout the deal process. As such it recognises a select number of leading professionals and professional firms across the globe for their individual areas of specialisation. Trade Law Chambers is delighted to announce that we have been recognised as the South African Customs and Trade Law Firm of the Year. Finance Monthly recently announced their Global Awards winners. We are delighted that Rian Geldenhuys has been recognised as the Commercial Lawyer of the Year in South Africa. Proposals have been made for the protection in South Africa of European Union geographical indications for wines and spirits. On 7 March 2014, the Wine and Spirit Board gave notice of the exact geographical indications. The Wine and Spirit Board invite interested persons to submit written represeantions within 30 days from 7 March. To download the notice, kindly click here. The 12th World Processed Deciduous Fruit Conference ("Cancon12") ,will be held in South Africa from 09 to 12 March 2014. Cancon12 is the world conference fo the deciduous fruit processing and allied industries and is one of the most acclaimed events in the international diary as it offers parties the opportunity to participate and share knoledge at the highest level. Rian Geldenhuys has been invited to present at Cancon on 11 March 2014 . He will be presenting his trade perspectives on trade remedies (anti-dumping, subsidies and safeguards) as well as tariffs. Rian Geldenhuys writes a guest editorial for export &, import SA magazine's January 2014 edition. To read the guest editorial, please click here. Trade Law Chambers has been in the news recently following on the successful opposition of the Australian safeguard investigation on processed fruit and tomatoes and the Australian anti-dumping investigation against canned peaches originating from South Africa. Both investigations were terminated subsequent to written and oral submissions by Trade Law Chambers on behalf of South African producers and exporters and as such no safeguard measures were imposed against South African processed fruit and tomato products and no anti-dumping duties were levied against South African canned peaches. To read the news article as it appeared in Business Day, kindly click here. To read the news article as it appeared in Farmers Weekly, kindly click here. The publishers of Acquisition International Magazine have announced the winners of their 2013 Legal Awards. We are proud to announce that Trade Law Chambers has been recognised as the Trade Law Practitioners of the Year whilst Geldenhuys Joubert Attorneys has been recognised as the International Trade Law Firm of the Year. The awards recognise the outstanding achievements of individuals and companies within the legal sector, encompassing everything from barristers and boutique firms to global players. Specialities range from energy and immigration to antitrust and intellectual property. Acquisition International's Legal Awards identify and honour success, innovation and ethics across international legal and business communities. Acquisition International prides itself on the validity of its awards and its winners. The awards are given solely on merit and are awarded to commend those most deserving for outstanding work over the last 12 months. Our awards recognise leaders in their respective fields and, crucially, are nominated by their clients and their peers. When the draft Private Security Industry Regulation Amendment Bill was published in 2012 we commented that the proposed limitation on foreign ownership may violate South Africa's GATS (General Agreement on Trade in services) commitments at the WTO (World Trade Organisation). To read that story please click here. It has now transpired that the Bill was in fact adopted by the Parliamentary Portfolio Committee on Police. As such the National Assembly had to finally approve the Bill. The National Assembly however did not approve the Bill and sent it back to the relevant Portfolio Committee for reconsideration in 2014. We therefore wait to see whether the Portfolio Committee will take into consideration South Africa's GATS commitments. The private sector is encouraged to participate in this process. Trade Law Chambers has again won an award recognising our expertise in international trade law.The latest award has been achieved in the Lawyers World Annual Awards for 2013. Trade Law Chambers has been ,voted as ,the Trade &, Customs Law Firm of the Year 2013 - South Africa. Trade ministers and World trade Organization (WTO) ambassadors of all WTO Member States are meeting in Bali from the 3rd to the 6th of December to finalise the negotiations for a possible new trade reform package. This will be the WTO's 9th Ministerial Conference since its establishment in 1995. It is hoped that this conference will see agreement from all WTO Members on a number of outstanding issues, which should reinforce confidence in the international trading system that has been fizzling out due to the lack of progress to date on the Doha Development Agenda agreed on in 2002. The main elements to be negotiated at the Conference are trade facilitation, agriculture and duty-free and quota-free access for least-developed countries. WTO Members have been involved in intensive consultations on these issues over the past few months, with the recently appointed Director-General of the WTO Roberto Azev?do from Brazil pushing Members hard to reach a deal in Bali. The Director-General has indicated that the negotiators are closing in on a trade reform deal. It is estimated by the World Bank that a deal on trade facilitation alone, which focuses on removing customs formalities and other bottlenecks in international trade, could add hundreds of billions of dollars to the international economy through speeding up trade between WTO Members. Agreement on agricultural issues such as export subsidies and food security will be critical to developing countries, which continue to face competition from developed countries' subsidized exports. For the poorest WTO Members, the least-developed countries, the hope is that this round of negotiations will see agreement on duty-free and quota-free access for their exports in world markets as well as improved rules on special and differential treatment. Niel Joubert, one of our directors will be in Bali for the WTO Conference and will be keeping us updated on progress in this round of negotiations.